Sun It crawls onto the land in search of food. 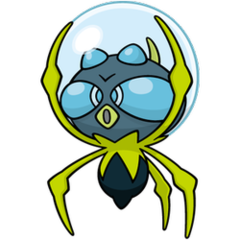 Its water bubble allows it to breathe and protects its soft head. 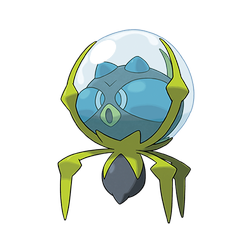 Moon When it comes across enemies or potential prey, this Pokémon smashes its water-bubble-covered head into them.